While your roof has been built to last – it will only last a certain number of years (between 25 to 50 years depending on conditions). Maintenance on your roof is vital if you are to ensure it’s longevity. A leaking roof is a quite common sign that you need a repair. Leaks can occur for many different reasons – this can include broken tiles, improper installation Deteriorated flashing, degraded bedding and pointing of the ridge caps, and many other issues. When it gets to you having to put buckets out, or towels down, your roof is definitely in need of attention.Deteriorated flashing’s, degraded bedding and pointing of the ridge caps, and many other issues. When it gets to you having to put buckets out, or towels down, your roof is definitely in need of attention.You can spot a leak easily by the presence of dripping water when it rains. If you need to put buckets out when it rains, your roof needs some attention. 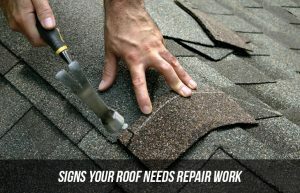 If your roof looks like it sags at certain point, then it is way past time when your need the professionals in. A roofer can sometimes fix minor sagging, but usually it will require structural work which would need to be done by a carpenter or a builder. Gutters are an important part of your roof, they help direct water away from your home and roof, which prevents leaks and water damage. Take time to look at your gutters, are their signs of rusting or holes, or are they falling off in places?Do your gutters leak when it rains? They could also be damaged and in need of repair work. This was commonly used as a building material in the past and is now known to be quite hazardous when damaged or disturbed.If you think your roof may contain asbestos, then it is important to contact a professional and get the correct advice on how to rectify this. It is best not to “repair” an asbestos roof, but to replace it with Colorbond roof so the danger is no longer present. If you can spot some obvious holes in your roof, then it certainly needs some repairs, you may even need a whole new roof! 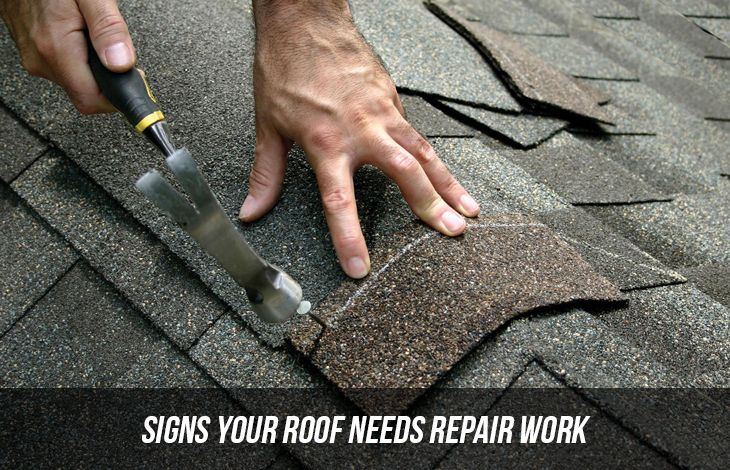 If your roof is showing any of the above signs, it’s time to invest in roof repairs.